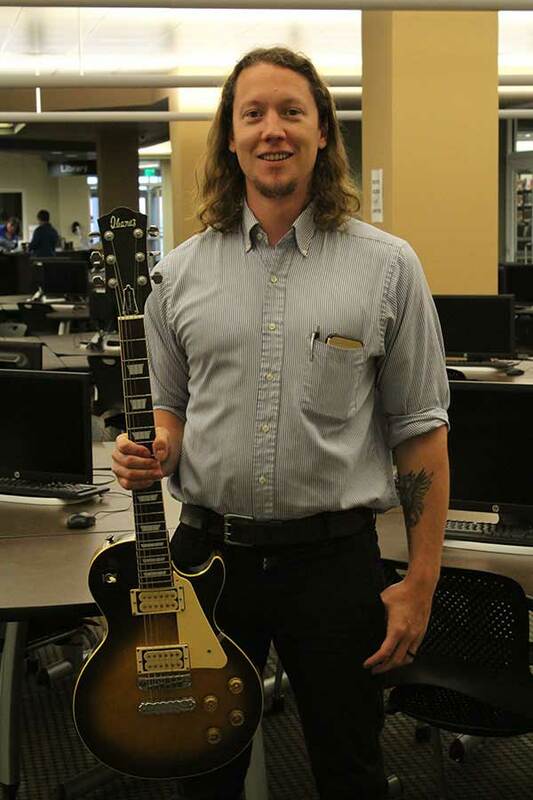 Trust us, Chris Nylund is one of the coolest academic librarians you will ever meet. “Super fun academic stuff: I’m in the process of writing a book with three other faculty members (Dr. Matt Jennings, Dr. Stephen Taylor and Chris Tsavatewa) about the history of Acme Brewing, which was a brewery in Macon in the late 1800s and early 1900s. I was recently named Graduate Studies Librarian, a job duty that allows me to work directly with our graduate students and their research needs (to be clear, I still get to work with and assist any student that needs research assistance). “Super fun community stuff: I’ve been a part of the Magnolia Street Soap Box Derby for years now. Last year I became co-chair of the derby along with another MGA faculty member, Chris Tsavatewa. We’ve worked diligently to establish and grow our High School Gravity race, which has a STEM education component. With a generous grant from the Knight Foundation, we started the High School Gravity race two years ago. Our first year, we were able to give all four public high schools in Bibb County their own kit cars, tools to build the cars and safety equipment. This past year, the High School Gravity race grew to 12 entries and we’re expecting even more next year. What attracted you to a faculty/staff position at Middle Georgia State University? In your opinion, what does it take for University students to be successful these days? “Forgive my inherent bias, but basic information literacy skills are crucial. Thanks in no small part to social media, we are constantly barraged with so-called information. On some level, I think this conditions us to make quick decisions based on whether or not a headline or tweet or meme is fact or fiction, which sets a dangerous precedent for society as a whole and certainly ingrains research practices unfit for the college environment, regardless of his/her field of study.